Our dental team is here to help you and your loved ones feel like family while they deliver the most stress-free dental experience of your life. Scheduling will be quick and easy, your time in the chair will be comfortable, and even paying for your visits will be completely painless thanks to our wonderful administrators, assistants, and hygienists. They’re a big reason why so many families choose to only visit us, and they can’t wait to show you why! Mary joined our team in 2010 and has served our team in a number of capacities including front desk administration, hygiene assistant, dental assistant, office coordinator, and assistant manager. She is currently our office coordinator. Mary loves working directly with the kids and their parents helping them achieve their healthiest smiles in a comfortable and welcoming environment. 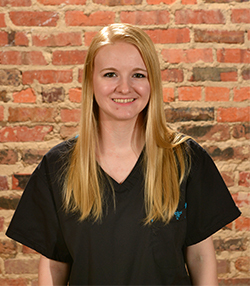 She trained on the job in our office and has certification in CPR, OSHA regulations, x-rays, laughing gas and oxygen inhalation conscious sedation, and is a registered dental assistant. Outside the office, Mary is happily married to Israel, and they have two sons, Xavier and Alec. She enjoys spending time with family, shopping, traveling, and exploring new places. 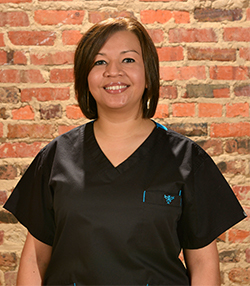 Martha has worked as a dental hygienist since 2012 and joined our Center, Texas dental practice in 2013. She loves seeing our patients leave the office with bright smiles on their faces. Family values are very important to Martha, and she loves having the opportunity to work with kids in a family-friendly dental practice. She studied at Panola College, Stephen F. Austin State University, and completed her dental hygiene study through Tyler Junior College where she earned an associate’s of science in dental hygiene. Martha maintains laughing gas and CPR certifications. Martha is happily married to Ruben and they have one son, Julian. In her downtime, Martha enjoys traveling and learning about new places, practicing photography, crafting, listening to music, shopping, and spending time with friends and family - especially her son. Miriam joined the Children’s Dental Center team in 2010 and loves having the opportunity to get to know so many patients from different cultures and backgrounds while helping them achieve their oral health goals. 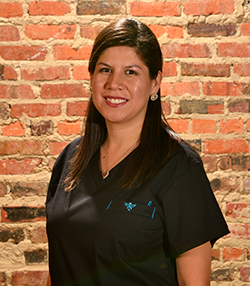 Miriam studied at Panola College and is certified in laughing gas and oxygen inhalation conscious sedation, CPR, OSHA, and X-rays. She is also a registered dental assistant. Originally from Mexico, Miriam moved to Center, Texas at the age of eleven. She is happily married to Luis, and they have two great kids - Luis and Michelle. Miriam enjoys spending time with her family, watching her kids play softball and baseball, and swimming at the lake. Casadie joined our team in 2012 and loves having the opportunity to work with kids and see them smile. She studied at Panola College and is certified in CPR and laughing gas monitoring. Casadie is also a registered dental assistant. A native of Center, Texas, Casadie comes from a small, tight-knit family and is the older of two children. She is happily married and enjoys photography in her spare time. 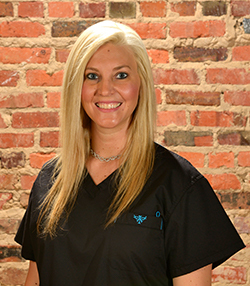 Krystal entered the dental field in 2008 and has worked with our team since 2012. She absolutely adores working with our young patients and helping them enjoy dentist visits. 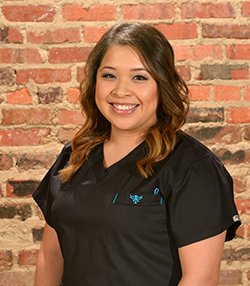 Krystal studied at Angelina College, is a registered dental assistant, and holds certifications in CPR, laughing gas, and oxygen inhalation conscious sedation. Krystal is happily married. She and her husband are the proud parents of one daughter, Hayslee. Krystal always has a smile on her face and a kind word for new people she meets. She enjoys spending her free time with family and friends, shopping, and deer hunting. 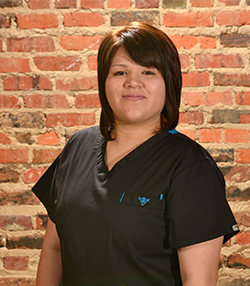 Evelyn entered the dental field and joined our practice in 2014. Friendly and outgoing, Evelyn enjoys getting to know new patients and building stronger relationships with existing patients. Evelyn studied at Panola College. Evelyn is happily married to Cristian Castro, and they are the proud parents of one daughter, Eliza. In her spare time, Evelyn enjoys spending time with family, shopping, and singing.